Officer Edwin Hernandez was killed at approximately 0045 hours in a single vehicle accident while on patrol. Officer Hernandez had just completed an assignment on the Long Island Expressway and was traveling westbound on the Northern State Parkway when his cruiser left the road. The cruiser hit a guardrail and then a tree, near the Dix Hills Road overpass. Officer Hernandez was trapped in the car and emergency crews had to cut him out. Officer Hernandez was airlifted to Stony Brook Hospital where he was pronounced dead. 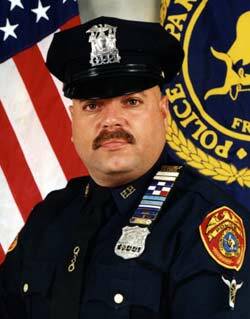 Officer Hernandez had served for 19 years with the Suffolk County Police Department, and was assigned to the Highway Patrol. He is survived by his wife and two children, his mother, sister, and two nephews.